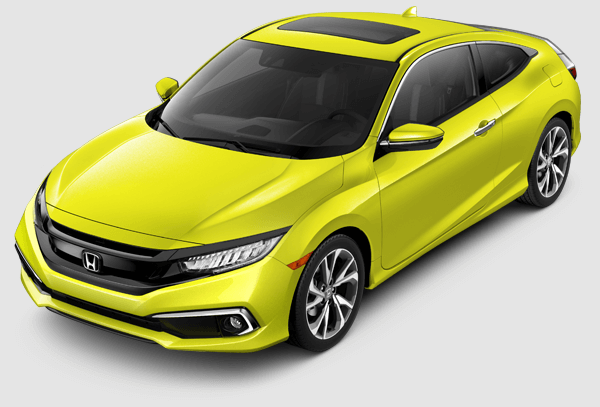 Feel the thrill of driving the Civic Coupe, now with more flair than ever. 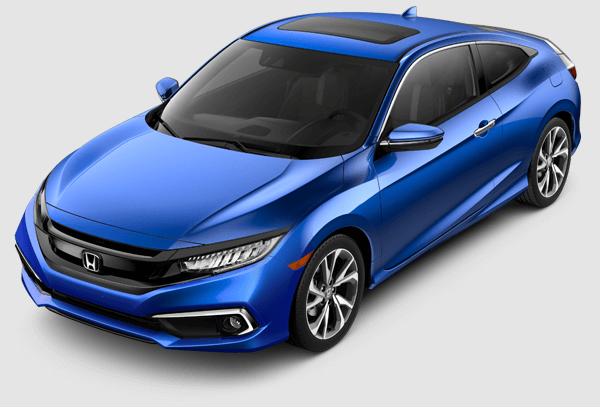 The 2019 Civic Coupe offers more sporty upgrades throughout. Standard for 2019 is the Honda Sensing suite of safety and driver-assistive features. 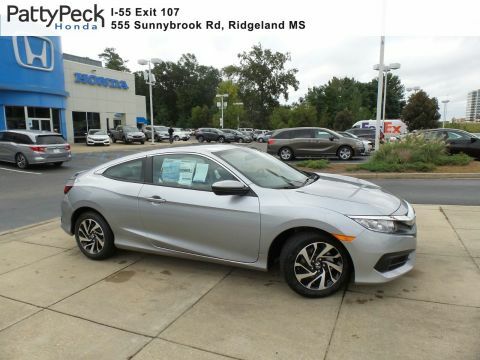 See it for yourself at our Ridgeland Honda dealership, near Jackson and Brandon. With a new restyling for 2019, the Civic’s two-door offering is more aggressive and athletic than ever before. 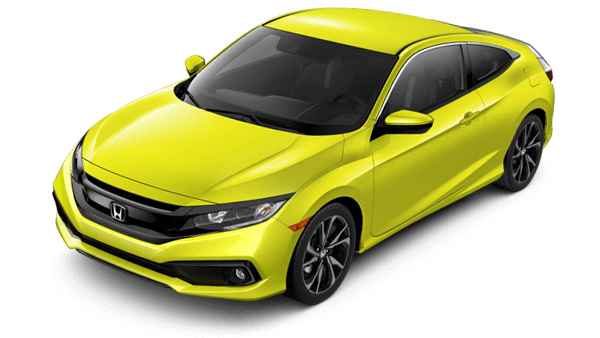 LED lighting, a low slung profile, and available 18-inch wheel all speak to the 2019 Civic Coupe’s sporty performance. Of course, Honda backs up that style with plenty of pep. 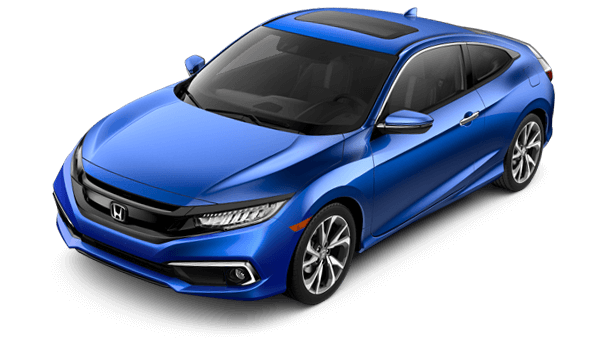 The 2019 Civic Coupe starts things off with 158 horsepower; a 174-horsepower turbocharged engine is available, as well. Looking for a setup that churns out even more power? 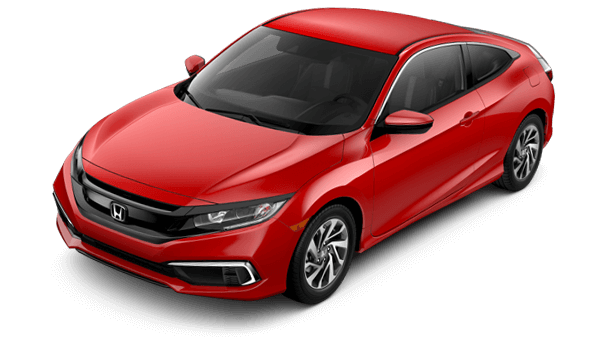 Take a look at the 205-horsepower 2019 Civic Si. 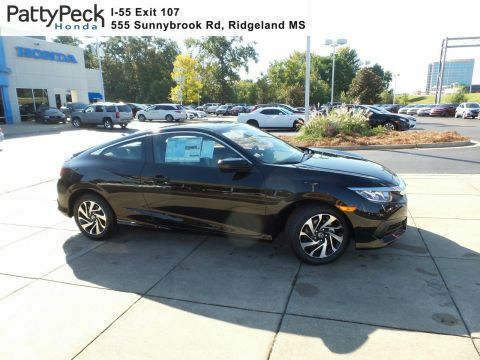 Staying connected is essential for modern motorists, and the 2019 Civic Coupe has you covered. With available features like Apple CarPlay™, Android Auto™, and Honda satellite-linked navigation, it’s a breeze to find your way, stay in touch, and stream your favorite media. 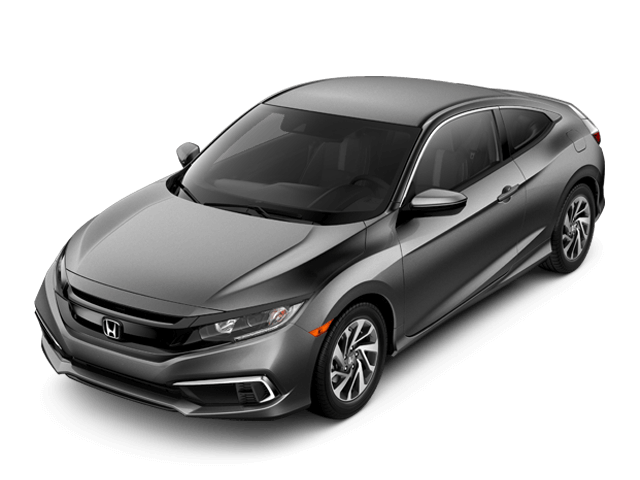 Speaking of streaming audio, it all sounds even better with the 2019 Civic Coupe’s available 450-watt premium sound system. Standard is the name of the game. For 2019, the Civic Coupe includes a multi-angle rearview camera and the Honda Sensing® suite as standard fare on all trim levels. 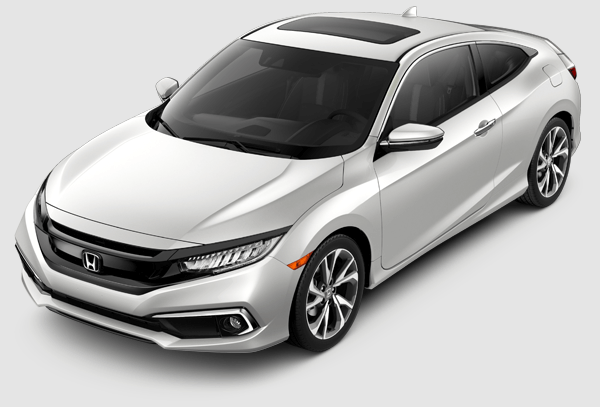 With Honda Sensing®, drivers can enjoy the confidence that comes with a host of advanced active safety and driver assist features. 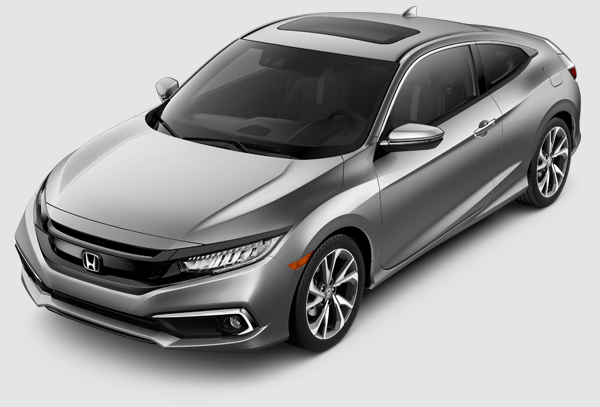 The suite includes a Collision Mitigation Braking System™, a Road Departure Mitigation System, Adaptive Cruise Control with Low-Speed Follow, and a Lane Keeping Assist System. 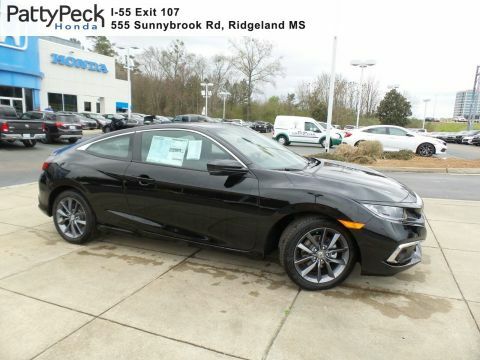 Ahead, beside, and behind, the 2019 Civic Coupe is always looking out for you and your passengers. 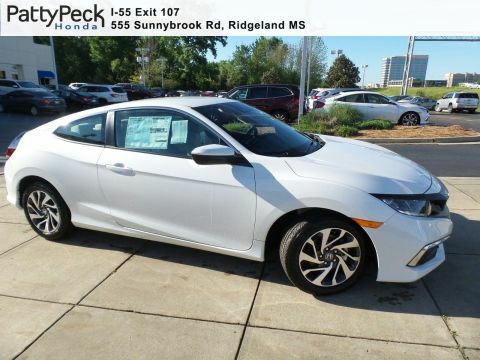 ***30 city/38 highway/33 combined mpg rating for LX trim. 25 city/35 highway/29 combined mpg rating for Sport 6MT trim. 29 city/36 highway/32 combined mpg rating for Sport CVT trim. 31 city/40 highway/35 combined mpg rating for EX trim. 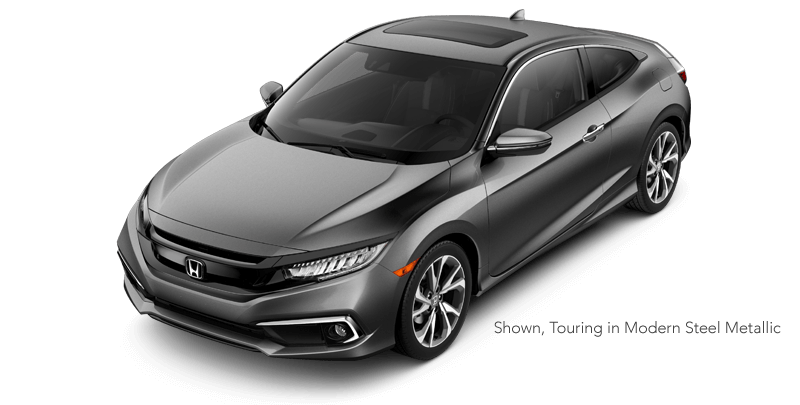 30 city/37 highway/33 combined mpg rating for Touring trim. Based on 2019 EPA mileage ratings. Use for comparison purposes only. Your mileage will vary depending on how you drive and maintain your vehicle, driving conditions and other factors.